These Healthy Steps™ Mary Jane non-slip slippers offer classic style in a versatile slipper. 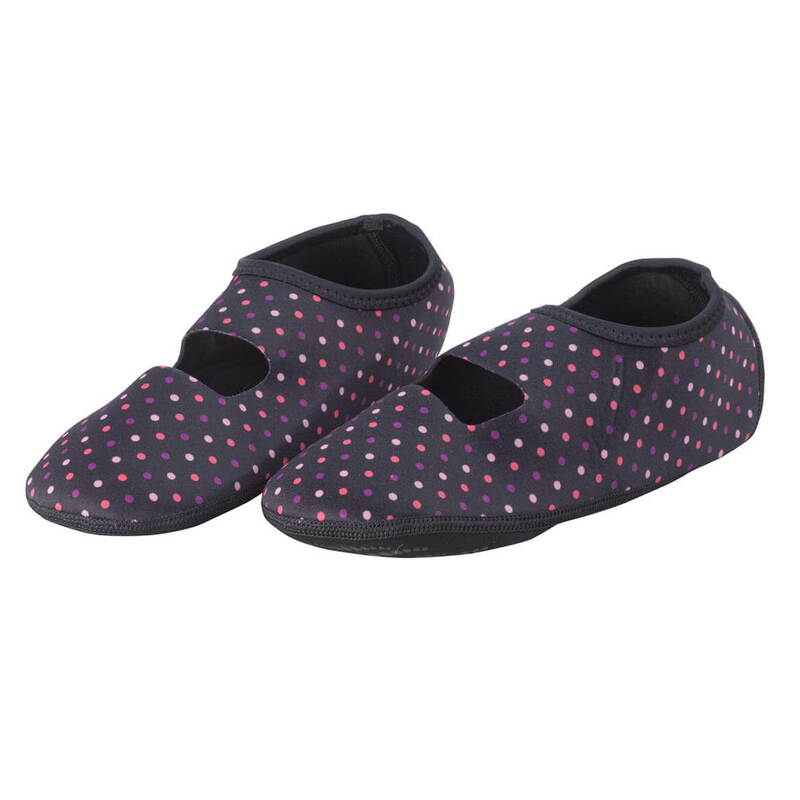 With an array of fun prints or basic black, this non skid slipper surrounds your feet in fashionable comfort when worn alone — perfect at home or while traveling. Four-way stretch neoprene/nylon provides a custom fit, and helps prevent irritation, chafing and blisters. Worn inside your shoes or boots, the women’s slippers add extra warmth and water-resistant cushioning without bulky socks. Worn over socks, they add a layer of non-slip protection. Specify color: scroll, polka dot, floral or black. Specify size: small (6–7), medium (7–8 1/2), large (8 1/2–10), XL (10–12). Hand wash; air dry. 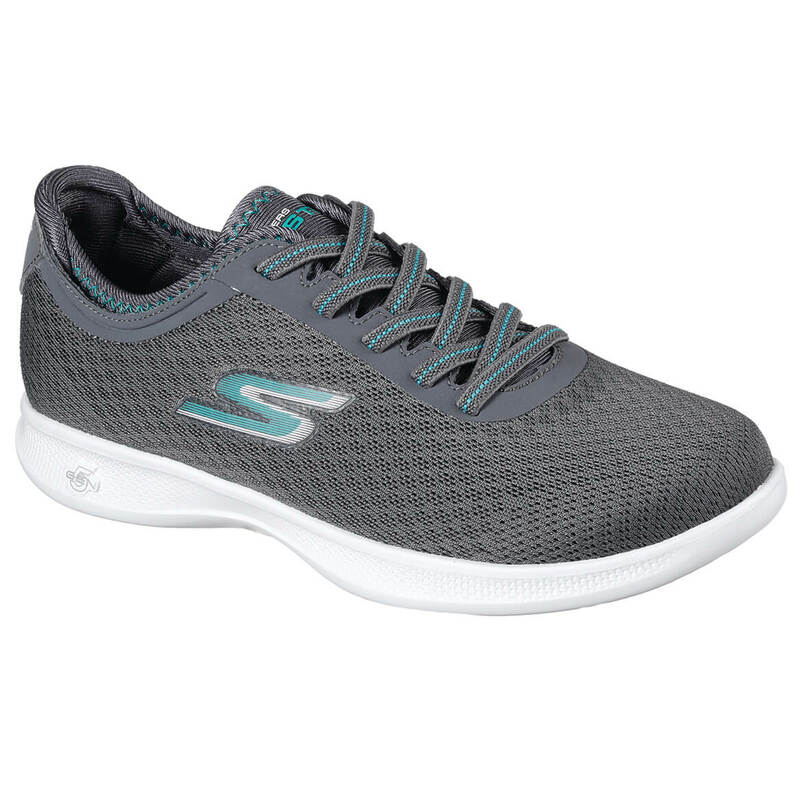 These Skechers GO STEP Lite women’s shoes boast stretch laces with knit mesh and synthetic upper for cooling comfort. Memory Form Fit™ design features memory foam padding around heel for a stay-put fit and walking comfort. Multi directional traction sole. Low-profile midsole. Synthetic sole. Whole and half sizes 5-10,11. Spot clean. Imported. Gray. KoziKicks® Active Lifestyle Men’s Slippers keep feet warm and comfortable indoors and out. Active lifestyle design features a pebbled rubber-grip sole for non-slip safety, whether you’re trekking to the mailbox or around the house. The outdoor slipper’s soft, breathable upper is lined with faux shearling for plush warmth and features a fully cushioned insole. Rugged exterior is engineered for natural range of motion, with a non-adjustable strap and protective toe guard to prevent excess wear. Specify color: black or blue. Specify size: small (7–8), medium (8 1/2–9 1/2), large (10–11), XL (11 1/2–12 1/2). Men’s slipper shoes made with polyester/PVC/nylon. Hand or machine wash cold; air dry. 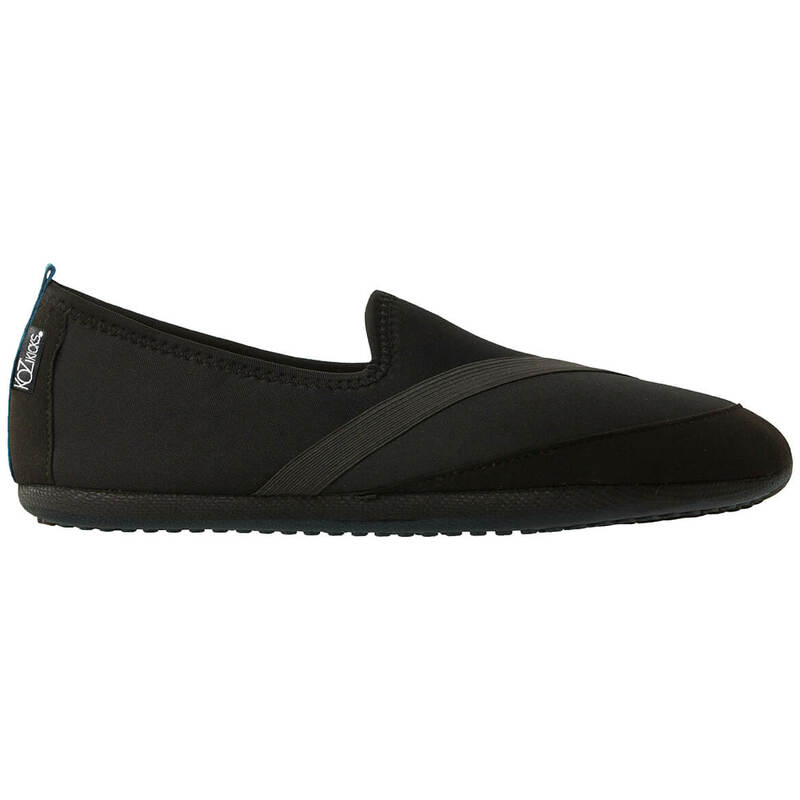 Skechers GO STEP Lite Solace ballet flat features Goga Max Technology™ with high rebound cushioning. Lightweight performance Skech Knit™ mesh fabric upper for cooling comfort. Lightly padded heel lining. Lighter weight midsole and outsole design with Goga Matrix structure. Synthetic sole. Only 4 oz. Whole and half sizes 5-10,11. Spot clean. Imported. Black. Soft and cozy indoors, warm and safe outdoors — get the best of both worlds with these KoziKicks® active lifestyle slippers. You’ll love how the soft yet durable upper is lined with plush faux shearling for breathable warmth indoors or out. The naturally contoured Flex Form sole is designed for a woman’s foot, allowing for free range of motion with a fully cushioned insole for maximum comfort. A rugged, non-slip rubber grip adds safety to your step as the outdoor slipper’s unique toe guard helps prevent dragging and excessive wear. Specify color: teal, purple, grey or black. Specify size: small (fits 5 1/2–6 1/2), medium (7–8), large (8 1/2–9 1/2), XL (10–11). Fits snug; order up a size. Hand or machine wash cold; air dry. 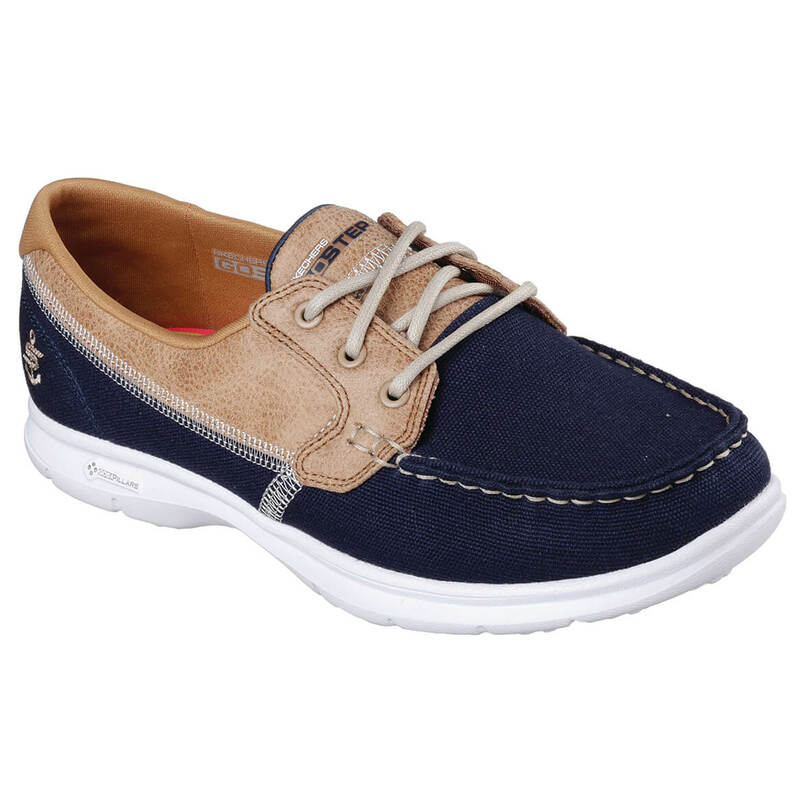 Innovation-infused Skechers GO STEP Seashore lace up boat shoe features responsive high-rebound cushioning for comfort. Goga Max™ Technology insole. Soft canvas shoe upper with lightly padded contrast Leather-Tex collar. Soft fabric lined. Synthetic soles feature GOimpulse technology for ultimate comfort. Weighs only 4 ¾ oz. Whole and half sizes, 5-10, 11. Spot Clean. Imported. Navy Blue, Natural. Curl up in comfort with this cozy new take on the classic ballet slipper. 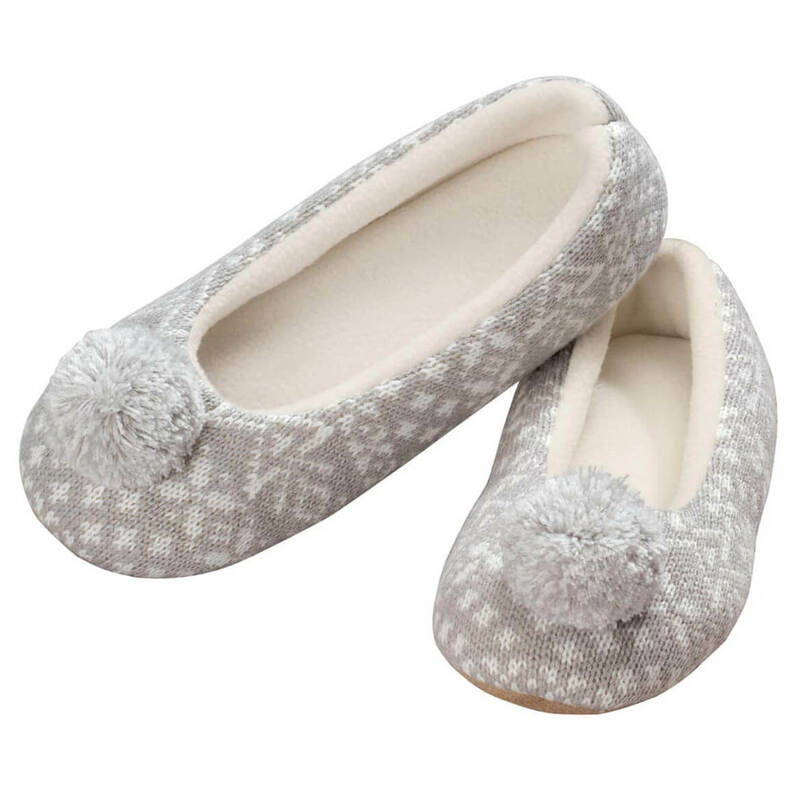 Choreographed for comfort, these toasty Nordic style ballet slippers with pom pom feature plush lining and cute pom pom trim in a pull-on style that hugs heels for a secure fit. Soft, suede-like fabric bottoms won’t scuff floors. Specify color: pink or light gray. 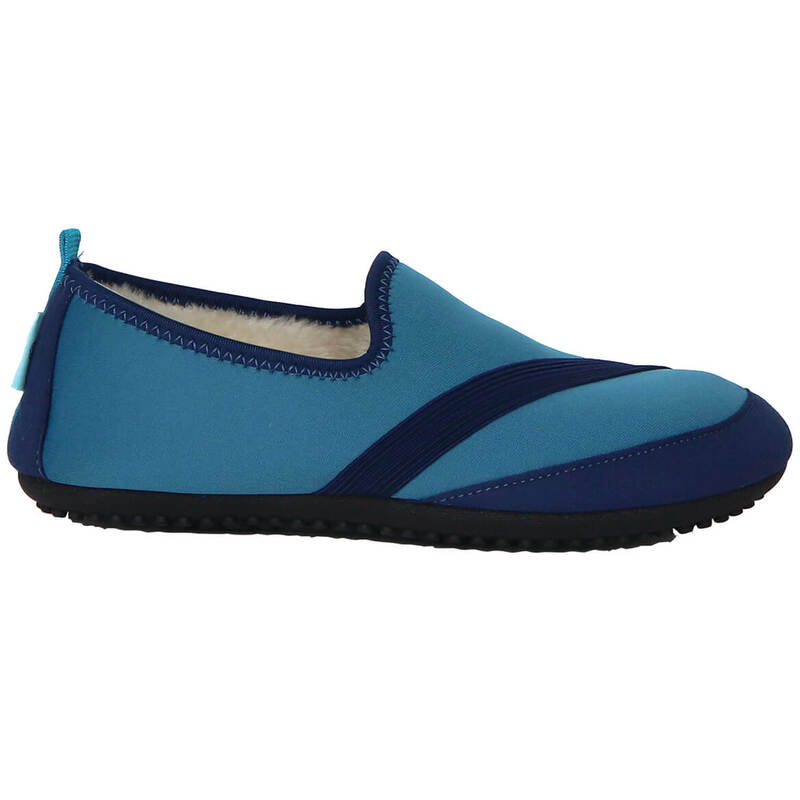 Women’s slippers available in whole sizes 6–10. 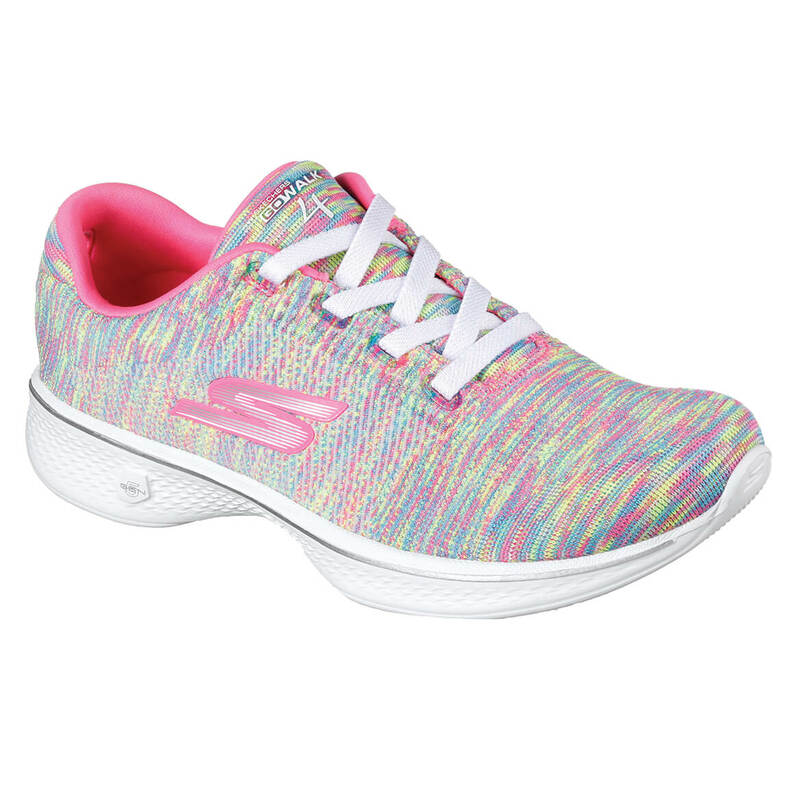 Breathable, lightweight, nearly seamless athletic mesh upper design in this colorful lace up Skechers GOwalk 4 Cherish walking shoe. Bamboo lined footbed for anti-bacterial odor control. Tapered midfoot design for improved arch support. Synthetic sole. 5 1/4 oz. Whole and half sizes 5-11,12,13. Spot clean. Imported. Multi. These easy Nordic style slide-on slippers let you get cozy with ski-lodge style for your feet. 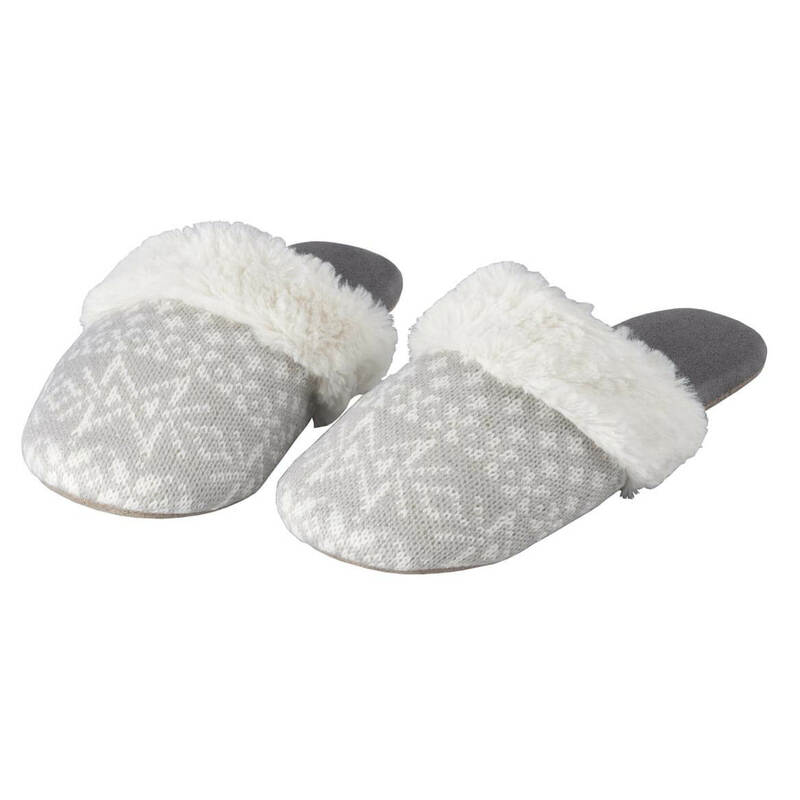 Designed with classic Nordic knit uppers and soft, warm faux fur trim, these fashionable women’s slippers are perfect for everything from coffee in the kitchen to curling up next to a fire. Suede-like fabric bottoms won’t scuff floors. Specify color: pink or light gray. Nordic slippers available in whole sizes 6–10. The classic penny loafer gets a fashion update in crinkle patent leather … and all three bold, saturated colors boast The Spenco® Siesta penny patent leather’s exclusive TOTAL SUPPORT® footbed, based on over 45 years of medical expertise. Slim, sporty and lined in perforated leather, these penny loafers feature compression-molded EVA footbed for all-day comfort, deep heel cupping, orthotic-grade arch support, metatarsal dome, cushioned forefoot and lightweight, two-part outsole. 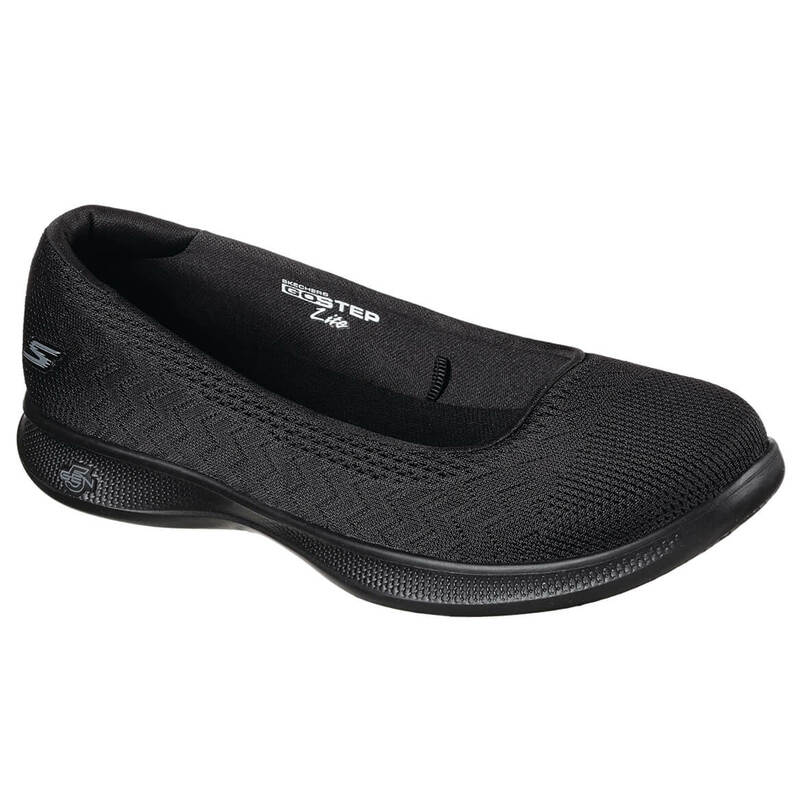 Quality women’s loafers includes zero-drop heel-to-toe ratio for incredible comfort, lightweight, dual-compound outsole that’s non-slip, non-marking and Ultra-Fresh® antimicrobial treatment to control odor. Specify whole size: 5-11. Spenco recommends ordering one full size smaller than your usual size, as this style runs large.